Esther Oxford filmed, produced and directed Tigers in the Shadows for Channel 4, negotiating unprecedented access to Tamil Tiger military training camps, aspiring suicide bombers and the Sea Tigers (the naval wing of the Tamil Tigers). Esther's interest in Islam and Muslim fundamentalists took her to Pakistan for two years, where she covered Afghanistan and Pakistan. She was one of the last journalists to interview Ahmed Shah Massoud, former commander of the Northern Alliance in Afghanistan - before he was assassinated by Al-Quaeda terrorists posing as journalists. She visited 'secret' girls schools, hospitals, underground networks and prisons, all operating under the Taliban. 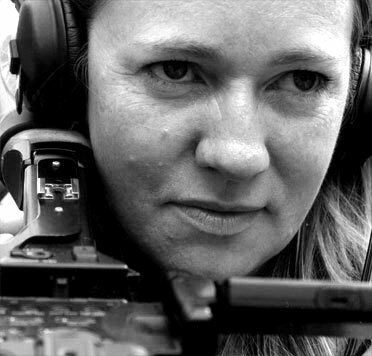 Esther later returned to Afghanistan to direct/produce two pilot films for Channel 4/October Films. 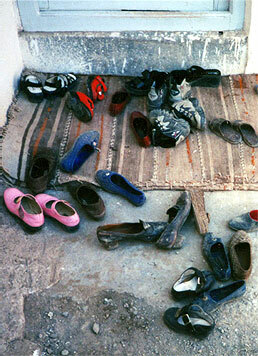 The Biggest Girls' School in the World focused on an American-inspired High School in Kandahar for 3,000 Afghan girls. My Taliban Wedding told the story of how Esther was invited to the wedding of the same Taliban soldier who'd held her captive for 10 days - just three years earlier. Esther Oxford has completed the five-day Hostile Environments course with Centurion (sponsored by the Rory Peck Trust).